Much gratitude now and always to all of you who show up week after week to your yoga mat. Whether you realize it or not, your presence in class not only lights your own flame but also supports others that practice beside you. Sometimes all we need is a spark to rekindle our flame; a smile, a kind work, a new idea, a sweet heartfelt hug. Never underestimate the power a small gesture can create. May you and yours enjoy the small moments, those precious times together when we express our gratitude for each other and all we have in our lives. 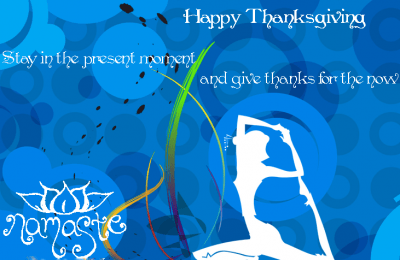 Previous PostYoga this Week – November 11, 2018Next PostFriday Morning Class Cancelled-Happy Thanksgiving!